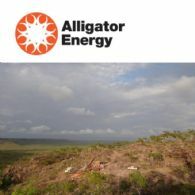 The Directors of Alligator Energy Limited (ASX:AGE) and its controlled entities present their report, together with the financial statements of the Group, for the half-year ended 31 December 2018. Alligator Energy Limited (ASX:AGE) is pleased to release the 31 December 2018 Quarterly Report. 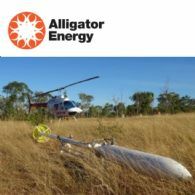 Alligator Energy Ltd (ASX:AGE) provides the Company&apos;s Investor Update - 28 November 2018. 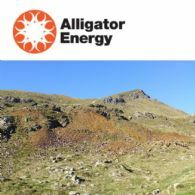 Alligator Energy Limited (ASX:AGE) is pleased to announce its commitment to the Phase 2 Farm-in Work Program for the Piedmont Project in northern Italy. Piedmont is a farm-in/joint venture project with CRP (ASX Announcement: 1 February 2018). 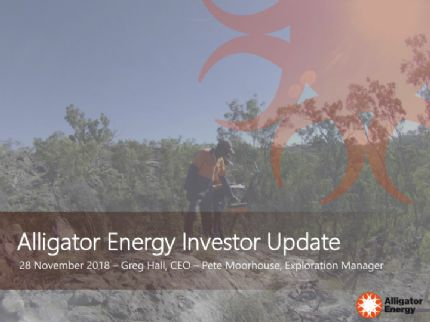 Alligator Energy Ltd (ASX:AGE) Chairman&apos;s Address - 2018 AGM - Dear Shareholders, The past 12 months has seen continued positive factors that are assisting to support an improved Uranium spot price, currently US$29-10 per lb, which is up well over 35% since May and sentiment in the sector has improved immeasurably. Alligator Energy Limited (ASX:AGE) is pleased to release the 30 September 2018 Quarterly Report. 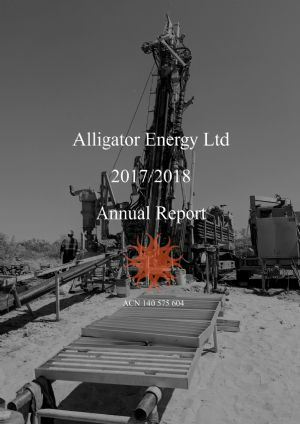 Alligator Energy Ltd (ASX:AGE) provides the Company&apos;s 2018 Annual Report. 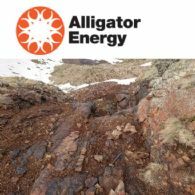 Alligator Energy Limited (ASX:AGE) advises that it has completed its exploration drilling program at the TCC4 uranium prospect in the Alligator Rivers Uranium Province in Arnhem Land, Northern Territory. This work is in support of AGE&apos;s strategy to discover 100 Mlbs of uranium in the ARUP region. 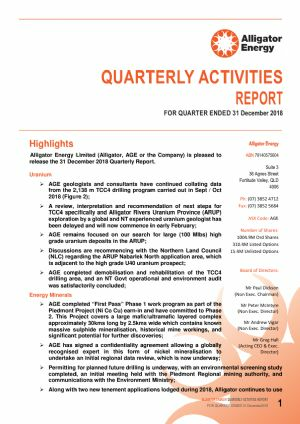 Alligator Energy Ltd (ASX:AGE) announces Arnhem Land drilling update and further high grade Ni Co Cu Au assays at Piedmont Project.